How to Swing a Tennis Racket: Never Miss Again! How to Swing a Tennis Racket? For new tennis players, it can be challenging to know how to hold a tennis racket. However, ensuring the proper grip is instrumental to a successful swing (and ultimately a successful game). As such, it will behoove you to learn a bit about how to swing a tennis racket so that you can play tennis at your very best level! 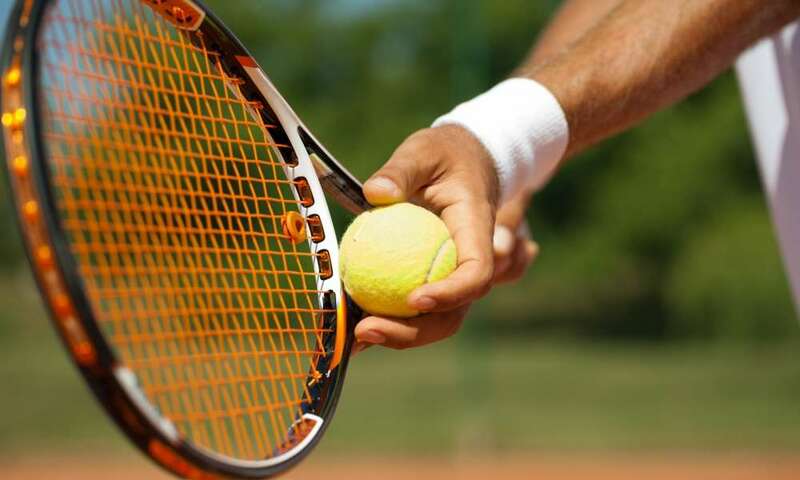 One of the best ways to learn how to swing a tennis racket is to take tennis lessons. The tennis instructor will provide you with feedback about your form. If tennis lessons are out of the question for you, then you may also want to watch some YouTube videos about how to hold the tennis racket. The steps are also described below, but it can be helpful to see the hand positions through pictures or video in order to maximize your understanding of the positions. The first thing you will need to do is prepare yourself for the ball. During this time, you will want to use your dominant hand to grip the tennis racket and use your non-dominant hand to stabilize the racket. Once you see the ball come towards you, you will want to get into the ready position. This means that your legs are slightly bent and apart. Your shoulders should be relaxed and you move your racket back. Now that your racket is behind you, the next step is to move your non-dominant hand off the racket. Using just your dominant hand, you keep the tennis racket level close to your head. You will need to make sure you adequately turn your shoulder being aware that your racket is still in the proper position. If your racket is not in the proper position, you may miss the ball. As the ball comes near, you may need to position yourself so that you are in the correct position to hit the ball. Once you do this, you will want to focus on your forward swing. To do this, make sure that you have enough room to position the racket under the ball. This will require that you bend your elbow, have enough speed to hit the ball, and maintain the ball in your line of vision. As the ball comes closer, make contact and hit the ball. Be sure that the ball is actually within range of your racket and that you can actually reach it. After you make contact with the ball, be sure to follow through on your swing. Make sure that your arm stays in a locked position and does not loosen too quickly. Additionally, the follow through will help you maintain your balance. Although you may consider these as separate steps, the swing is really one fluid motion. As such, all of the steps described above happen quickly and sequentially. 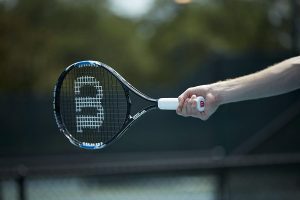 If you are having trouble hitting the ball, make sure that you are focusing your attention on the ball and where your racket is in relation to your body. You may also find it helpful to watch what happens to the ball after you hit it so that you begin to become familiar with how the ball reacts to different types of swings. How Does Grip Influence Swing? Different grip positions and grip strengths impact your swing. Some of these grips are ideal for low balls while others are ideal for high balls. Some grips are especially useful for creating spin on the ball. Once you master the forehand swing, you may want to test out the backhand swing, which is a more advanced swing. This article reviewed the main steps you need to adhere to when hitting a ball. First you will want to make sure that you are in the ready position. Next, you will need to keep your eyes on the ball. The racket then will come up near your head so that you can have enough area to create a forward swing that will generate speed. As the ball comes close, you will quickly move the racket to make contact with the ball. After you have hit the tennis ball, you will need to follow through on your swing.